There's an amazing buzz about this place with the focal point been the water park, the most prestigious in the Nabq area on the Red sea may we add. Splashing becomes serious here with boomerang, speed and bowl slide and a multi-lane for those all important head to head races. 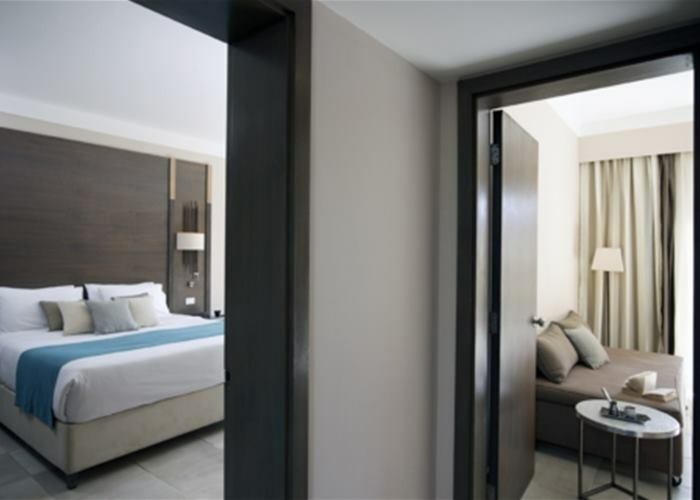 The contemporary rooms allow your own relaxing space with some rooms enjoying a pool right up to the doors. When it comes to meal times, everyone is well catered for with and attractive buffet and speciality restaurants. Spacious with a modern design, maximising your comfort whilst away from home. 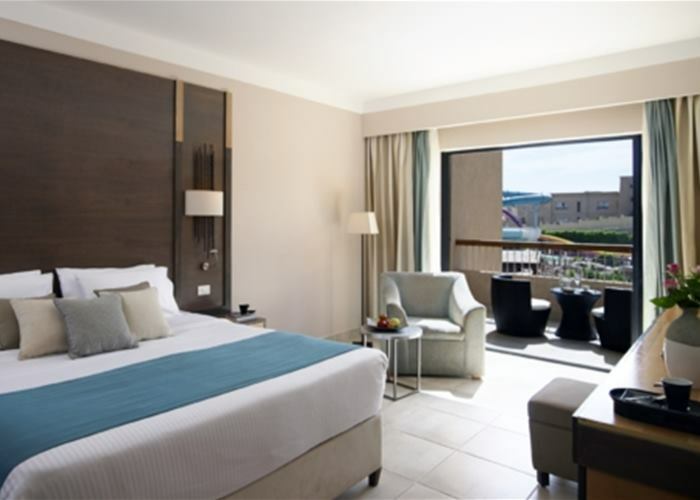 There's a king or twin beds and a terrace or balcony with a view to the pool or water park. Rooms sleep up to 3 people and come complete with mini fridge, LCD TV and air conditioning. There's plenty of space for the whole family in these rooms with a modern and stylish feel. Rooms come with a balcony and a view to the pool or water park. The sleeping areas are separated by a partition that can be closed for privacy. On the one side there is a king or twin beds and two large sofa beds on the other. 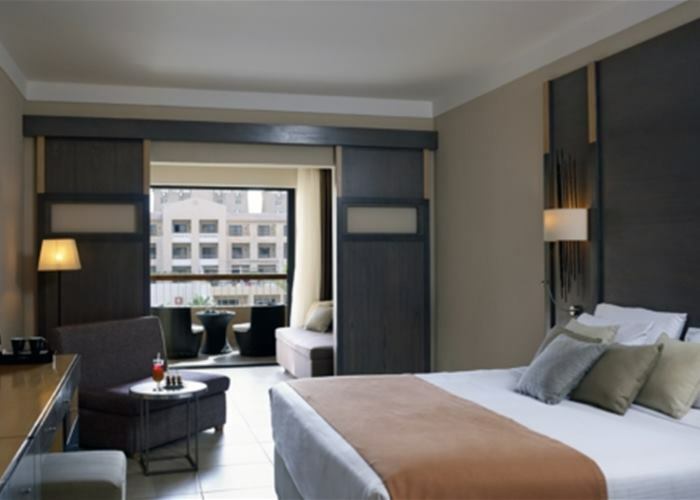 The rooms sleep up to 4 with a maximum of 3 adults and comes complete with mini fridge, LCD TV and air conditioning. When on holiday the pool has got to be one of the focal points, so why not bring it up to your door. You can fit 4 people in this room and we've added a sliding partition that can be closed for privacy with a double or twin beds on one side and two large sofa beds on the other. The terrace gives you access to the pool with great views across the resort. 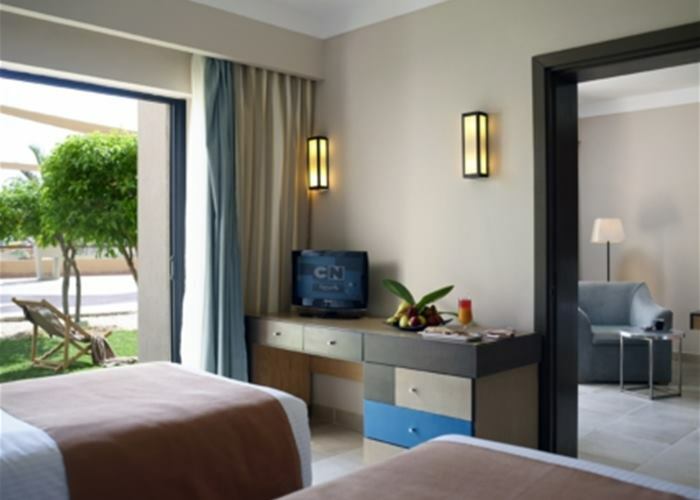 You'll find all the essentials like mini fridge, LCD TV and air conditioning. We've joined two rooms together here with a connecting door that can be closed for privacy. In one room there is a king bed and in the other you'll find two twin beds. There's plenty of sleeping space for 4 people with a maximum of 3 adults and you can enjoy a view over the pool or water park from your terrace or balcony. 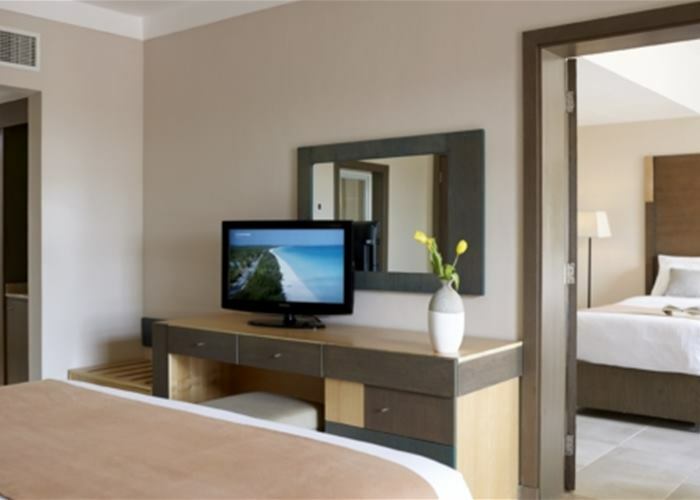 Rooms come complete with mini fridge, LCD TV and air conditioning. 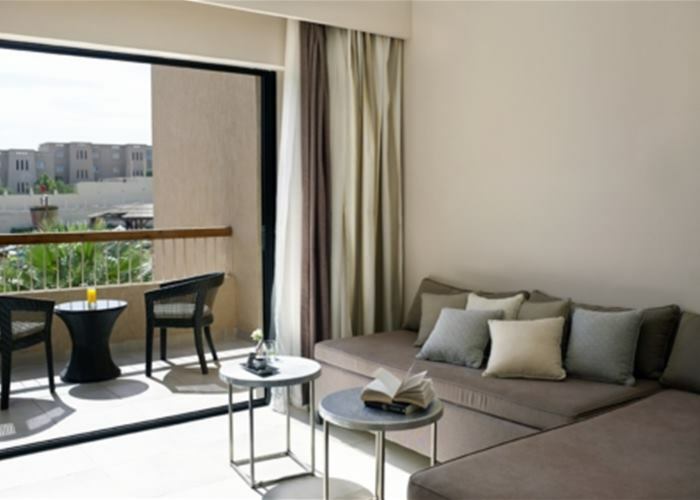 These large suites have practical living space as well as comfortable sleeping arrangements for a large family. Sleeping up to 6 people with a maximum of 4 adults there are 3 rooms in total. One bedroom with a king size bed and another with twin beds, in the lounge there is a large sofa bed and 2 bathrooms to make shower time less stressful. A balcony or terrace looks over the pool or water park and the rooms come complete with mini fridge, LCD TV and air conditioning.